Time and dimension unfold only for the bravest adventurers. Step into history and visit Egypt during the building of the Great Pyramid. Travel on the most famous steam liner of all time – the Titanic! Or journey to an alternate Earth, rich with magic and populated by demons, vampires and worse . . . 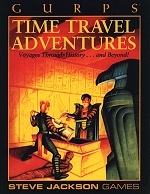 This book presents three adventures that span time and dimension. Each offers intriguing puzzles, dangerous encounters and excitement on the brink of disaster. Titanic! sends time agents to 1912 to board the doomed transatlantic liner Titanic. The PCs must block a Stopwatch plot to save ill-fated passengers – people who, if they live, will further the enemy's cause. However, the operatives can't intervene until after the ship strikes the iceberg and begins sinking . . . starting a race against time and impending disaster. A Nile Elation begins when history suddenly changes. The Great Pyramid at Giza was destroyed in 1973 by a nuclear bomb! Stopwatch must be to blame, but when did they plant the bomb, and how did they get it in unnoticed? Time agents travel to three separate points in history, from the late 20th century to the 3rd millennium BC, to unravel the deadly plot. Soulburner sends Infinity Police to an alternate Earth, where magic and modern science both work. The PCs battle demonic drug lords and Forces of Darkness, while trying to save a stranded I-Cop trooper. Each adventure includes maps and diagrams, plus statistics and equipment for all non-player characters. 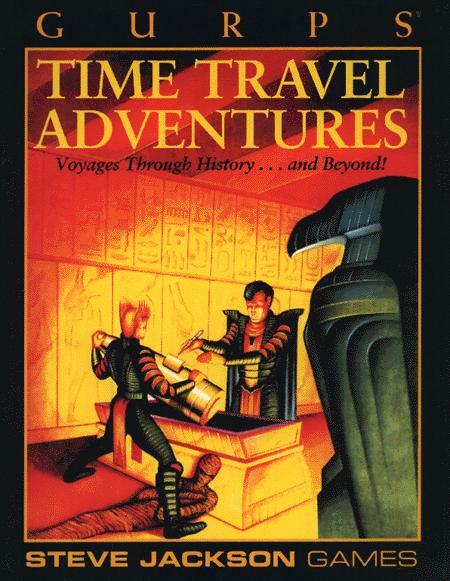 The GURPS Basic Set and GURPS Time Travel are required to run these scenarios.